5 Reasons Why Excel is the Wrong Choice for Data Collection, Analysis and Reporting - CCR Technologies Pvt. Ltd.
Excel spreadsheets are ubiquitous, mainly because we believe Excel works just fine for a number of tasks and processes. We also feel that Excel based work costs us nothing as we’ve already invested in the software, and our teams are familiar with it. And it’s true that Excel really does work out well for one-off requirements. However, when you use Excel to handle regular data collection, analysis and reporting, then you end up with a very clumsy and tedious process. The hidden costs are high, and can include unhappy customers, frustrated teams and even revenue leakages. Many people simply over-write data in cells in Excel sheets with new data. Spreadsheets are usually not designed to recognize patterns, so historic trends are hard to recognize, and predictive analytics is not possible. With a workflow automation application, the power of data analytics can be leveraged to help with business decision making. Whose job is it to enter certain data? Who’s authorized to view it or change it? When you work with spreadsheets, it becomes complex to enforce these rules and ensure the sanctity of data. When spreadsheets are shared, the danger of data being deleted or over-written is very real. Many times, a particular individual initiates a process and it then needs to be approved by one or more authorized persons. In some cases, there are rules to decide the right approving authority in a particular instance. When all this is being managed in spreadsheets and emailed around, there is no real tracking and control. With a workflow automation application, approval procedures can be defined and enforced very conveniently. Click here for information about our workflow automation services. When data from multiple Excel users has to be collated, any variations in terminology or mapping create a nightmarish situation. With a web application, this happens automatically, at a command or a pre-defined schedule. When an Excel spreadsheet is shared, the raw data is visible along with any charts or graphs you may create. This causes confusion, and doesn’t help to see the most important information at a glance. With a workflow automation application, you can design dashboards for decision makers and ensure they show current information. Powerful visualization techniques help to present the information in ways that best support decision making. These 5 factors prove the power of web and mobile apps that are designed for your business workflows. Trying to achieve the same results with Excel spreadsheets simply leads to wasted time and effort and overall frustration. Previous PostWhat is Workflow Automation? Madhura is one of the founding members of CCR Technologies in Pune and its parent company CCR in Short Hills, NJ. She has 20+ years of experience in the area of Computer Systems development as well as IT business applications in Manufacturing, Finance & Telecom sectors. At CCR Technologies, Madhura is focused on development of decision support systems, database driven data modelling platforms and process automation to improve process efficiency. 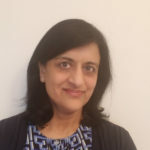 Madhura has a BSc from Pune University, MS in Computer & Information Science from University of Massachusetts, USA and teaching experience at University of Massachusetts and Pune University’s Computer Science Department.